Loading and displaying MBTA lines from GeoJSON. 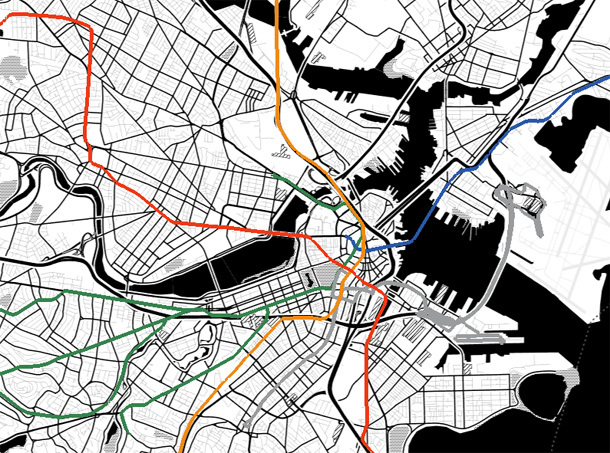 Displays the subway lines of Boston, read from a GeoJSON file. This example shows how to load data features and create markers manually in order to map specific properties; in this case the colors according to the MBTA schema.